Give her the gift of smooth with Philips Satinelle Prestige, Philips’ new epilator that removes hair more effectively with less effort. Philips Satinelle Prestige offers superior performance with the use of ceramic discs with micro-ridged surfaces that move over the skin in a continuous and comfortable motion. 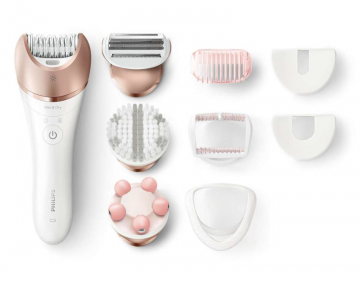 The Wet and Dry use and eight different body attachments are a just a few of the amazing features of the Satinelle Prestige that deliver superior results, leaving the skin with softer and smoother skin in no time.